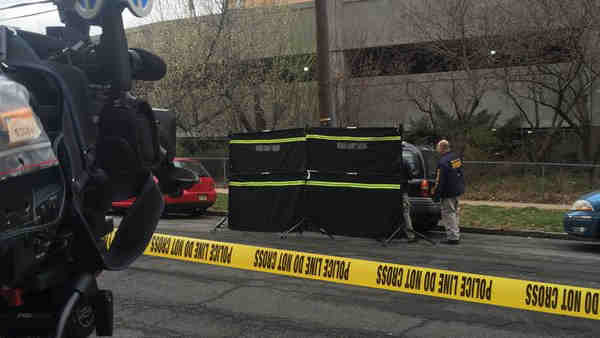 HACKENSACK, New Jersey (WABC) -- Police are investigating after the bodies of a man and a woman were discovered inside a running car in New Jersey Friday morning. Hackensack police confirm the deaths of the 29-year-old male city resident and a 24-year-old female believed to be from New York City. Both parties were located inside a parked 2003 Chevy Tracker on Overlook Avenue around 8:20 a.m. Police had originally responded on a report of two people sleeping in a vehicle. Upon arrival, officers found the two victims deceased with no signs of struggle or violence. At this time, officials say the incident is leaning towards a tragic case of carbon monoxide poisoning. The investigators will continue to look into any other possibility, and further information will be pending reports from the Bergen County Medical Examiners Office and examination of the vehicle. Police are currently attempting to contact both victim's next of kin.